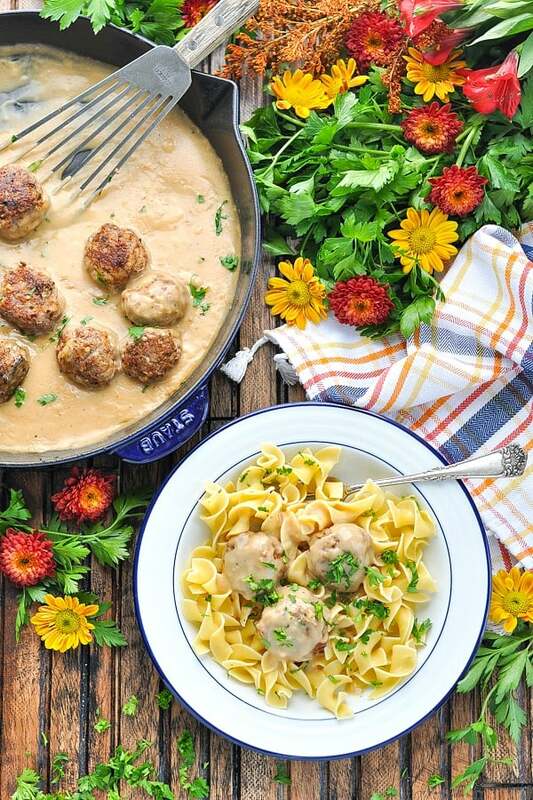 A family-favorite recipe for generations, Aunt Bee's Swedish Meatballs recipe is homemade comfort food at its finest. 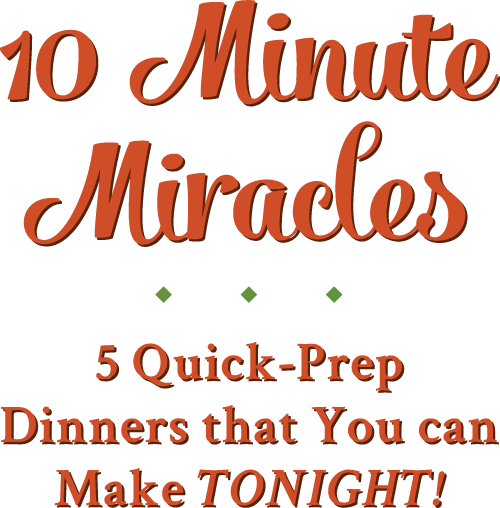 This is an easy dinner recipe that you will hold onto forever! 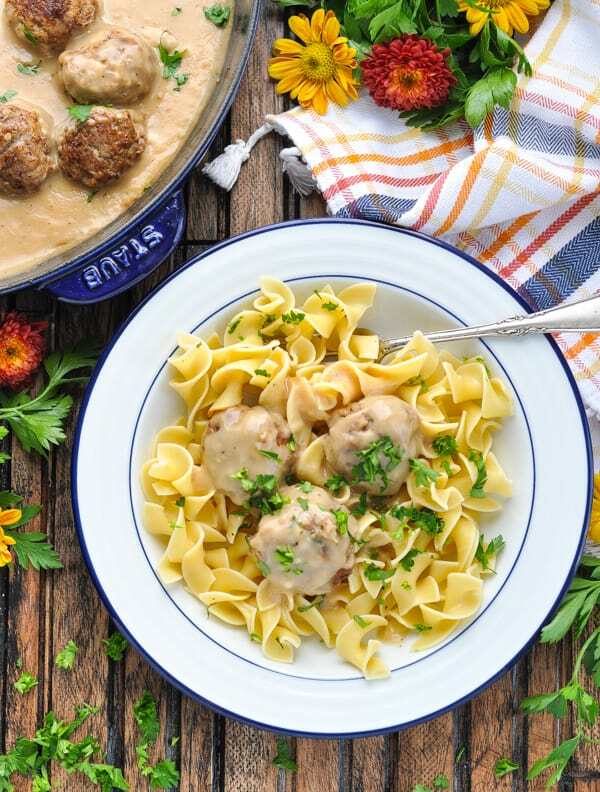 A family favorite for generations, Aunt Bee’s Swedish Meatballs recipe is homemade comfort food at its finest. Served with egg noodles, this is an easy dinner recipe that you will hold onto forever! 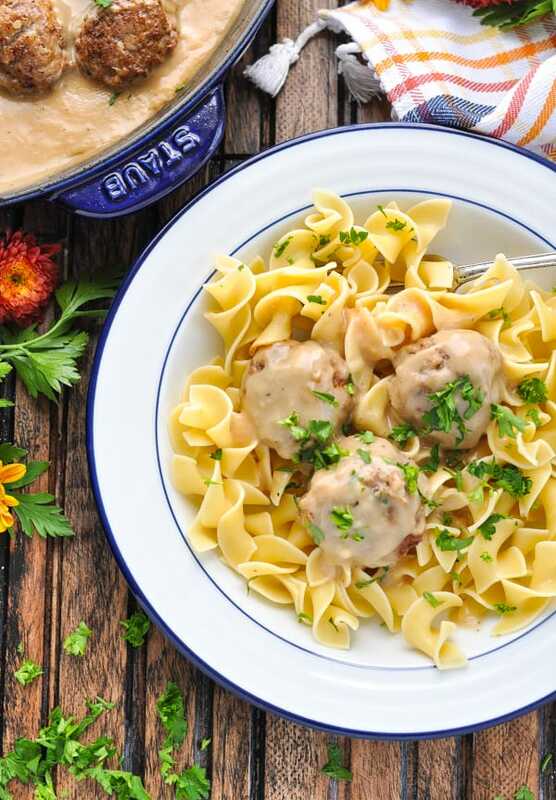 ‘Tis the season for warm, cozy dinners, and nothing tastes better on a chilly day than my Great Aunt Bee’s Swedish Meatballs recipe. 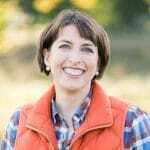 When Aunt Bee’s grandson, Chip, saw my post for her Sweet Potato Casserole (which is absolutely heavenly, by the way), he sent me an email to let me know that I just HAD to share her authentic Swedish Meatballs recipe as well. A quick phone call to Aunt Bee and the instructions were in my hands a few days later! And let me tell you: this is about as authentic as it gets! This is actually Aunt Bee’s mother’s recipe, who came to this country from Sweden. And if you want the meal to be truly authentic, Aunt Bee insists that you MUST serve the meatballs with a lingonberry sauce (or jam). My own mom keeps a jar of lingonberry preserves in her refrigerator for just this purpose! 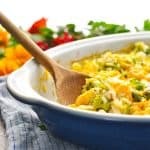 I will warn you — while this recipe is NOT complicated, it’s definitely more time consuming than my standard dump-and-bake meal. You’ll need to fry the meatballs in batches, so it just takes a bit longer. The good news? They’re SO worth the effort! What spices go in Swedish Meatballs? 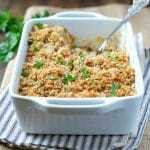 Let’s start with the basic ingredients: ground beef, bread crumbs, onion, eggs, and the spices: salt, pepper, and sugar. That’s it! 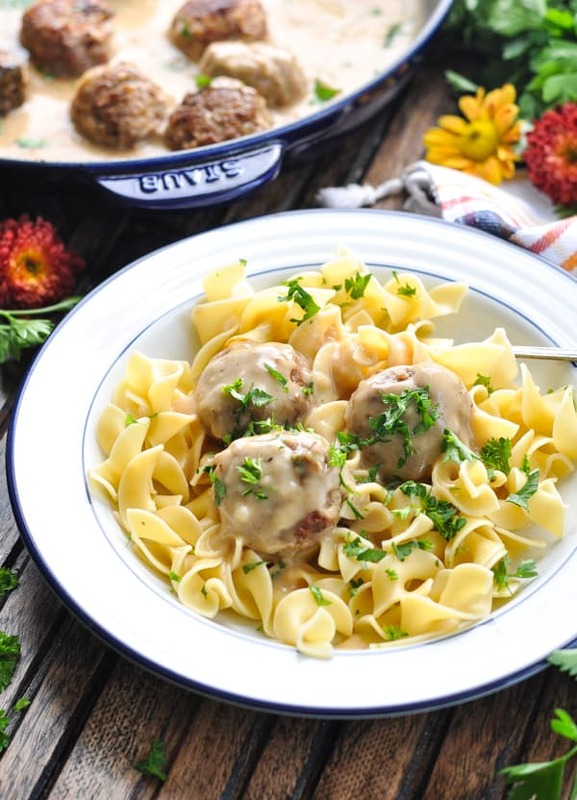 Nothing fancy, but you’ll be amazed by how delicious these Swedish meatballs taste! 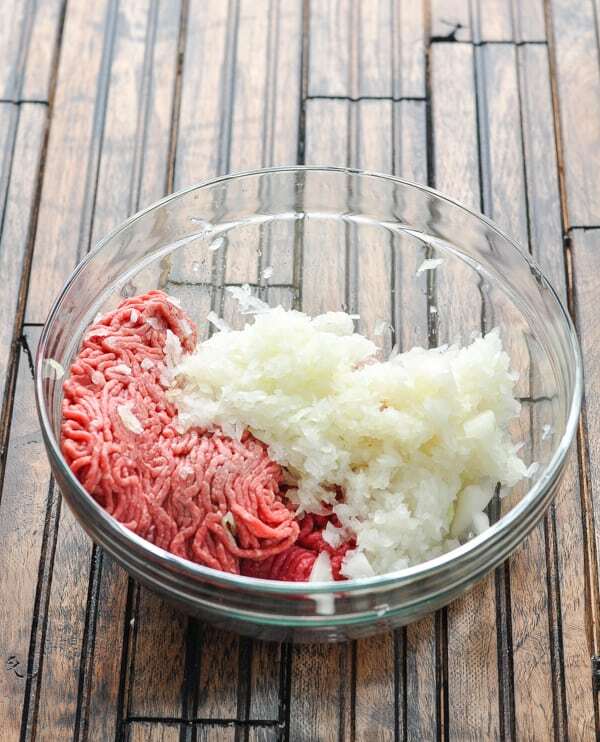 First, place the ground beef in a large bowl and add the grated onion over top. 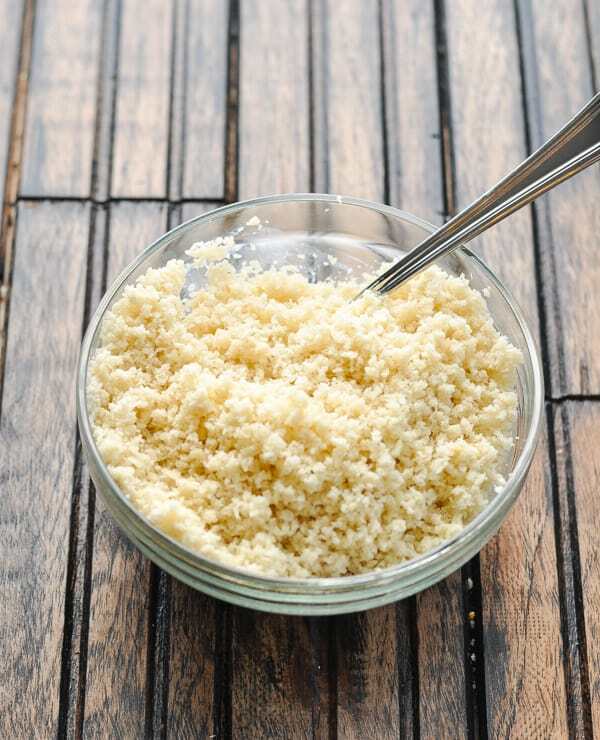 Soak bread crumbs in about 1/4 cup of half-and-half or milk, just until moistened. Add the soaked bread crumbs, eggs, sugar, salt and pepper to the bowl and use your hands to gently combine. Be careful not to over-mix the meat, or you will end up with dry, tough meatballs. 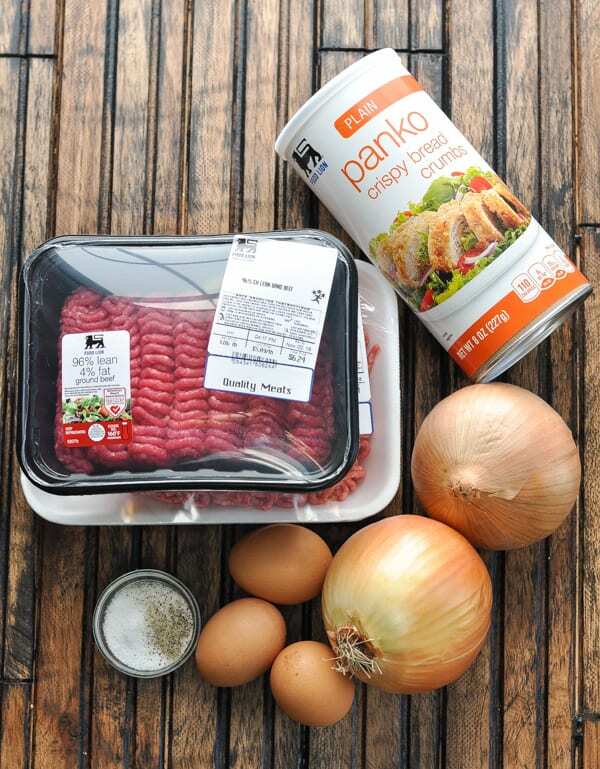 Using a medium (1.5 tablespoon) scoop, form beef mixture into balls. The meatballs will be about the size of a golf ball, and the total recipe yields about 48 meatballs. 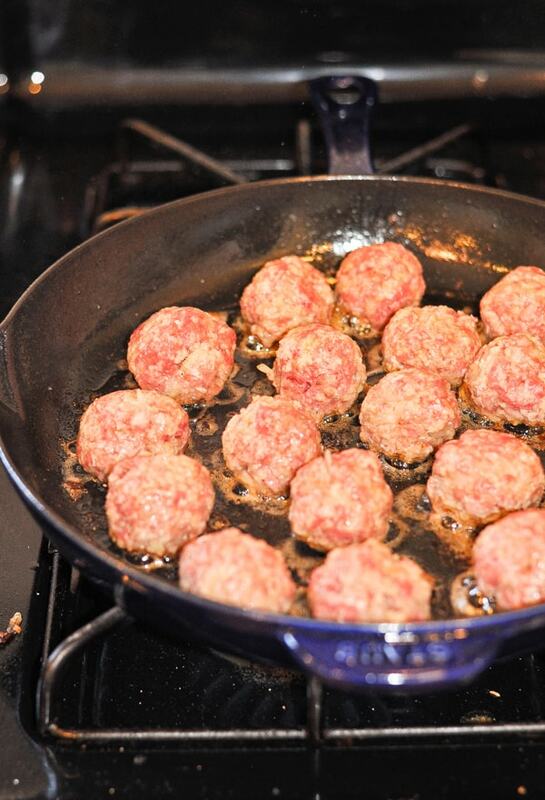 Once the meatballs are ready, it’s time to fry them in a skillet! This will require about 3 separate batches, because you want to allow plenty of space in between your meatballs as they cook. When your meatballs are cooked through and browned on all sides, remove them to a tray that has been lined with paper towels. Cover loosely with foil to keep them warm while you prepare the sauce. 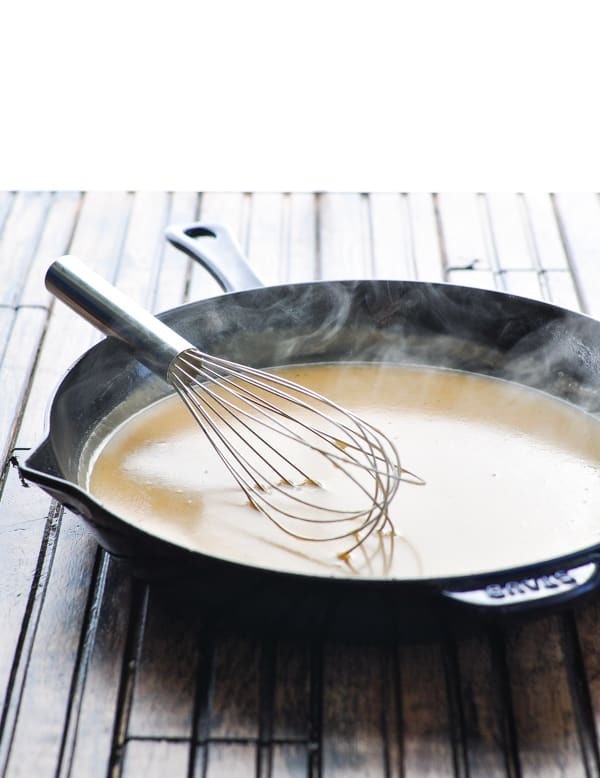 For the sauce, you’ll add flour, beef broth, and half-and-half to the skillet with the pan drippings. Whisk over medium heat until the sauce bubbles and thickens! 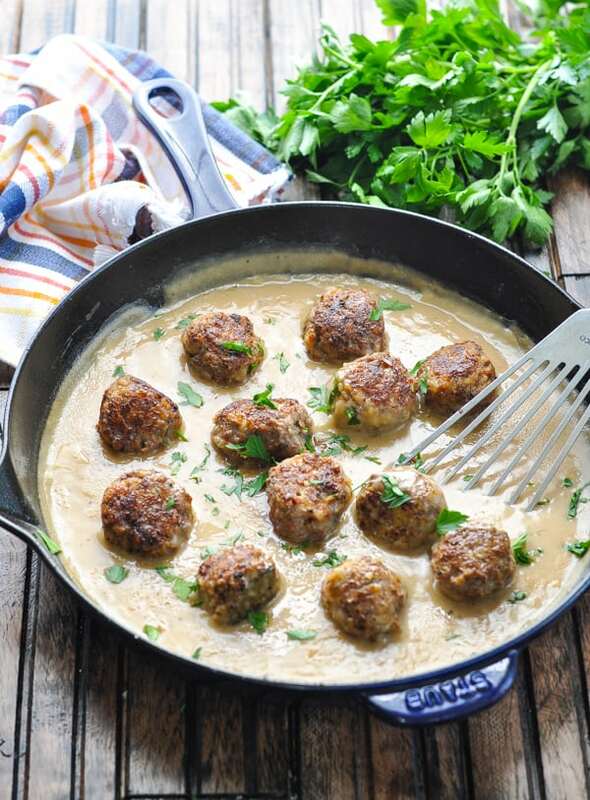 Add the meatballs back into the skillet with the sauce, garnish with parsley, and serve! These are perfect served over egg noodles for a warm, filling, and satisfying supper. Can Swedish Meatballs be made ahead? Yes! To prepare the meatballs in advance, I suggest frying them in batches (as the recipe instructs). Allow the meatballs to cool to room temperature, and store in an airtight container in the refrigerator for about 3 days. Wait to prepare the sauce until you’re ready to serve. To prepare the sauce on a later date, you’ll use the same process, but instead of using the pan drippings, substitute with 2 tablespoons of melted butter in a skillet. Can Swedish Meatballs be frozen? Yes! 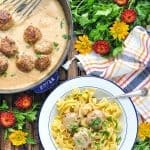 Wrapped tightly in an airtight container, this Swedish Meatballs recipe will stay fresh in the freezer for at least 2 months. Allow frozen meatballs to thaw in the refrigerator overnight. 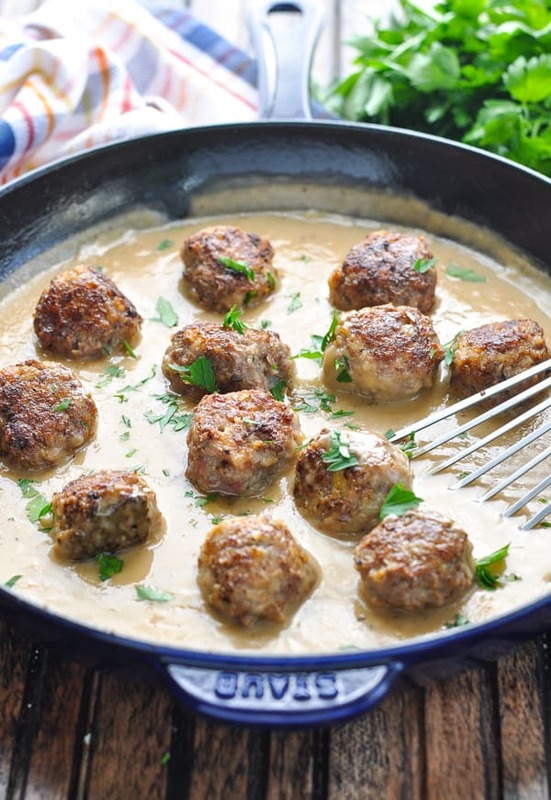 Prepare the pan sauce using melted butter in lieu of pan drippings (as explained above), and then add the meatballs to the skillet with the sauce. Cover and cook the meatballs in the sauce over LOW heat just until the meatballs are warmed through. If you don’t plan to serve the meatballs with sauce, you can reheat them in the oven. Place the meatballs on a baking sheet or in a baking dish, cover with foil, and bake at 300 degrees F until warmed through (about 15 minutes). How many Swedish Meatballs per person? The number of meatballs to prepare for each person will vary depending on the size of your meatballs and on the size of your guests’ appetites! That said, a good rule of thumb assumes about 4 ounces of beef per person. With 32 ounces of beef, this recipe yields 48 meatballs. That equals 6 meatballs per person (or 8 total servings). You can cut the ingredients in half to prepare fewer meatballs, or double the recipe to feed a larger crowd. and don’t forget the lingonberry jam! Place the meat in a large bowl. Grate the onions into the meat. Stir together bread or bread crumbs with 1/4 cup of half-and-half, just until moistened. Add eggs, soaked bread crumbs, sugar, salt, and pepper to the beef mixture. Use your hands to gently combine, being careful not to over-mix the meat. 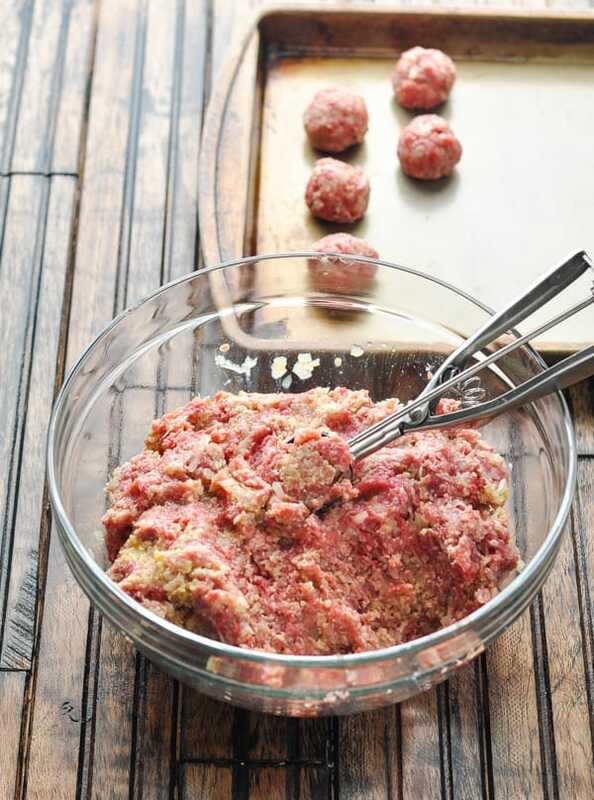 Use a medium (1.5 Tablespoon) scoop to form meatballs. Each meatball will be about the size of a golf ball. 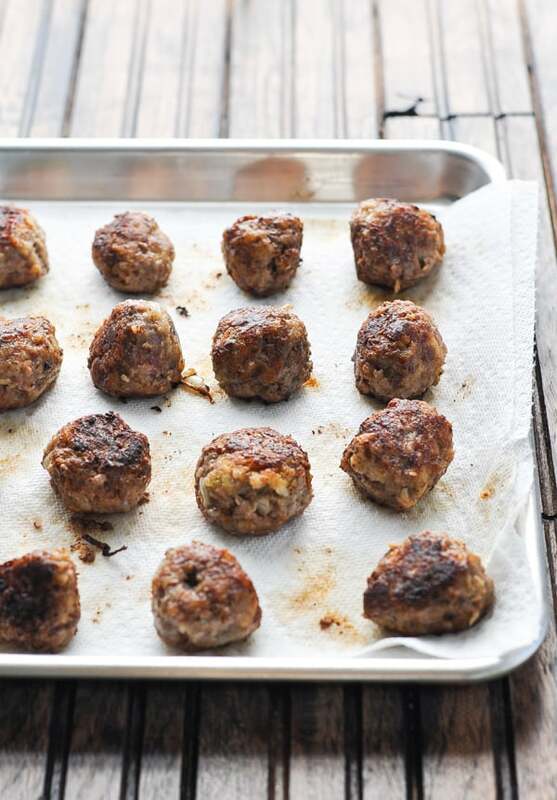 Place the meatballs on a baking sheet so that they will be ready to fry. Put a few pats of butter and a teaspoon of oil in a large frying pan over medium-high heat. Sauté meatballs in batches, turning while they cook so that all sides are evenly browned and the meat is cooked through (about 8-10 minutes per batch). Be careful not to overcrowd the pan. Repeat until all meatballs are cooked. Remove meatballs to a baking sheet lined with paper towels, and cover loosely with foil to keep warm while you prepare the sauce. Add flour, beef broth, and half-and-half to the pan drippings. Whisk over medium heat until it bubbles and thickens. Whisk consistently so that it doesn’t burn or get lumpy. You may need to sprinkle in additional flour (one tablespoon at a time) to get the gravy to thicken to the desired consistency. This recipe yields 48 meatballs (each about the size of a golf ball) or 1 large meatloaf. To make meatloaf instead of meatballs, simply form the meat mixture into one large loaf. 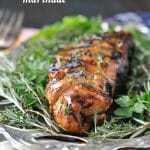 Place it on a rimmed baking sheet and bake in the oven at 350 degrees F for approximately 1 hour. I like to slather the top of my meatloaf with ketchup before baking, but that's totally optional! Wait to prepare the sauce until you're ready to serve. To prepare the sauce on a later date, you'll use the same process, but instead of using the pan drippings, substitute with 2 tablespoons of melted butter in a skillet. If you don't plan to serve the meatballs with sauce, you can reheat them in the oven. Place the meatballs on a baking sheet or in a baking dish, cover with foil, and bake at 300 degrees F until warmed through (about 15 minutes). The number of meatballs to prepare for each person will vary depending on the size of your meatballs and on the size of your guests' appetites! That said, a good rule of thumb assumes about 4 ounces of beef per person. With 32 ounces of beef, this recipe yields 48 meatballs. That equals 6 meatballs per person (or 8 total servings). and don't forget the lingonberry jam! This recipe was originally published in February, 2015. It was updated in November, 2018. So glad you posted this! 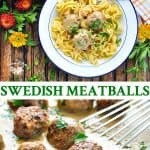 I have been looking for an authentic recipe for Swedish meatballs. I love them with lingonberry jam too (stock up at Ikea). I do the same thing with my meatball recipe– make it into a meatloaf or patties depending on the mood and how much time I have. Your pictures are fantastic, Blair! You are so kind, Mila!! Thank you!! These look like like the ultimate comfort food! Thanks so much for linking this up at Best of the Weekend! These look great! I do mine with turkey. And since there’s no convenient Ikea, I make cranberry sauce to serve with them. My 6’2″ son devours them! The cranberry sauce is a great alternative, Deb! I need to remember that since we don’t have an IKEA to buy lingonberry jam either! I am grateful to both you and Aunt Bee for this amazing recipe! Looks scrumptious and I can’t wait to try it out! Found you through Tatertots & Jello – thank you for sharing! Thanks so much for your kind words, Shelly! I hope you enjoy! PINNED! 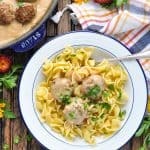 These swedish meatball recipe looks great! I love the creamy look of the sauce, my mouth is watering! 🙂 Blair, hope that you are doing great! Yum! We love meatballs and I’ll definitely give your recipe a try. Curious about the lingonberry mentioned in the comments. We have an Ikea within driving distance and I may have to pick some up. Ugh!! You can’t serv swedish meatballs like that with pasta !! So very wrong and something a swedish person never ever would do!!! Makes this recipe so not swedish!! Instead of cooking them in batches in a frying pan and having to watch and turn them… could I just put them on a large cookie sheet and bake them? I know I’d miss out on the drippings but could just make the sauce with butter as you suggested. Have you tried baking them? Hi, Debbie! They should work fine in the oven, too! I haven’t tried it that way (frying them tastes so good! ), but I don’t see any reason that you couldn’t use the oven for a nice shortcut. Enjoy! I think Debbie’s idea of baking the meatballs is great, and you won’t totally miss out on the pan drippings, just dump and scrape the baking pan residue into a frying pan! My question, Blair, is I’m guessing you make a roux with the flour and pan drippings first before adding the liquid? Or do you just dump everyting in at once? 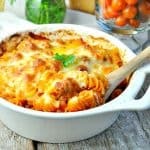 I am pulling a pound of ground beef out of the freezer right now, to make this for dinner on my day off! I have half and half leftover from Thanksgiving and while I use it in my coffee when I have it on hand, this way I can be sure it won’t go bad! Thanks! I will def come back with a rating! Yay! I’m so glad that you’ll try it! I think that you can definitely make the roux first, but I never have — I just follow Aunt Bee’s directions exactly, which include adding everything at once. 🙂 Enjoy! SO, we had this for dinner tonight, and let me just say, it will become a regular in our household! Hubby was very impressed! I did cut the recipe in half since it’s just the two of us. The meatballs were soft, moist, and juicy. The ice cream scoop went during the last unused utensil purge, so I just rolled them by hand. I did make extra gravy, cuz, well, gravy! And Blair, it DID thicken up well, without actually making a roux! I did add some fresh garlic to the meatballs, but otherwise followed the recipe. 5 stars, it really is easy to follow, if you ‘batched’ and froze the meatballs as Blair suggests, it would make a really quick weeknight meal. I may just do that next time! Yay! I’m so glad to hear that you enjoyed the meatballs as much as we do! It’s always a compliment when the husband approves as well. 🙂 Thanks so much for your note, as always!